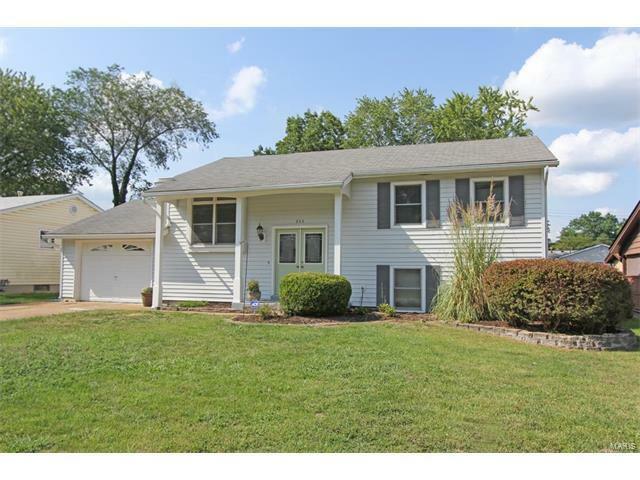 Three bedroom, two full bath home in Lindbergh schools! Updates throughout the house include; Hardwood floors refinished, A/C in 2015, paint, baseboards, ceramic tile in the kitchen, updated bathrooms, and new vinyl plank flooring in the lower level rec room. The lower level has a large recreation room for extra entertaining along with a full bathroom and it's a walkout. There is also unfinished area, where you could add an additional bedroom if desired. Minutes from city parks, golf course and Riverchase rec center. The Fenton park system has tons of trails for walking, biking and hiking. The Fabick Nature Preserve is also around the corner with 124 acres of park to explore, along with two lakes to fish in. Also includes city of Fenton amenities like free trash and recycling to name a few. 44 to Soccer Park exit. Follow road to the right until it turns into Yarnell. Continue on Yarnell and turn right on Riverside to right on Fury. Home is on the right side.